I know today is the big festival and most of us will be busy. 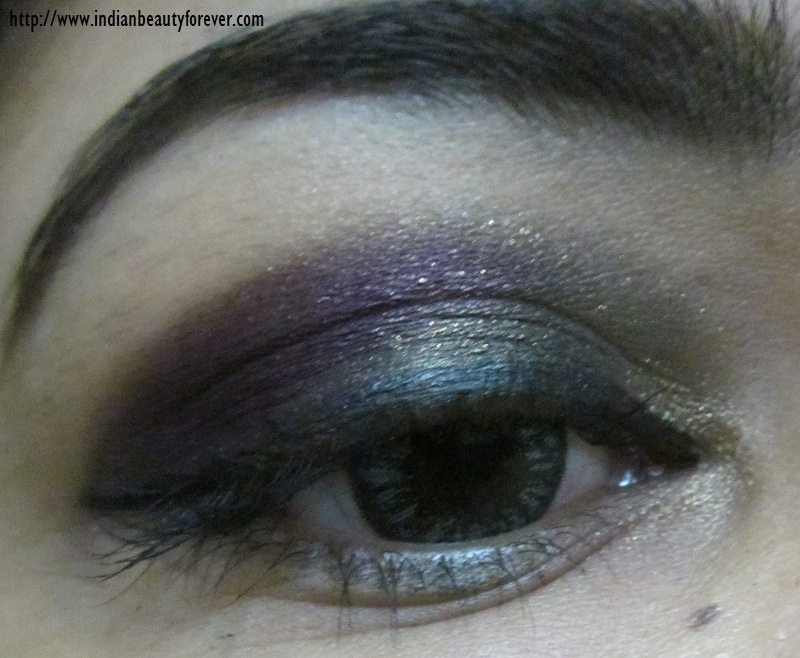 So, just wanted to share this look I did yesterday. 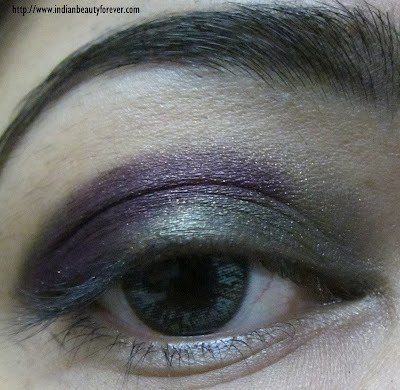 I am in love with greens and purples a lot lately and you can see that clearly in the eye makeup. 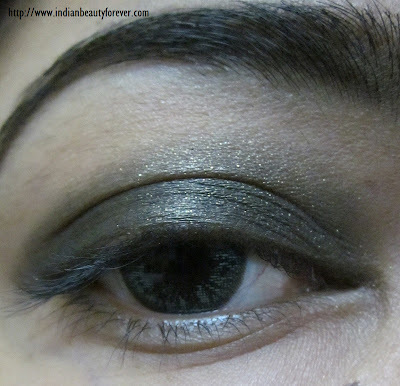 I have applied and olive green eye shadow chubby stick on the entire lid gently else it can tug the eye lids. 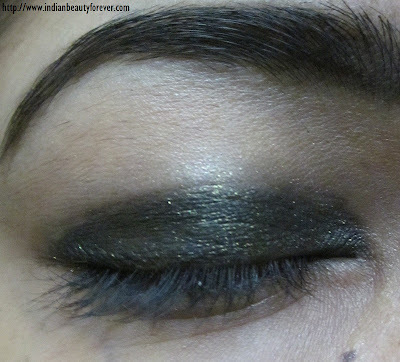 It’s a cheap chubby stick eye shadow so nothing special except the gorgeous olive green color with very fine shimmers. Then gently I blended it with my ring finger extending upwards and outwards. 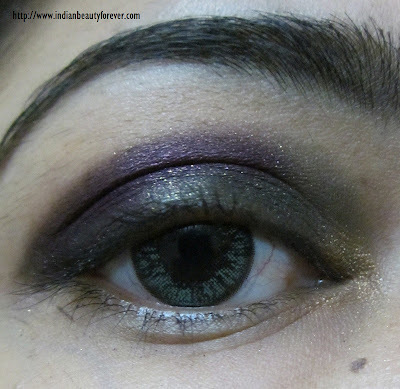 Then I took a deep purple shadow from the VOV palette which I mixed with L’Oreal infallible eyeshadow in burning black and applied it on the outer corner and the crease area. Again I blended lightly with my ring finger, but this time it was more like of a tapping motion and thereafter with an applicator I blended the outer area since finger can be quiet thick for that narrow area. 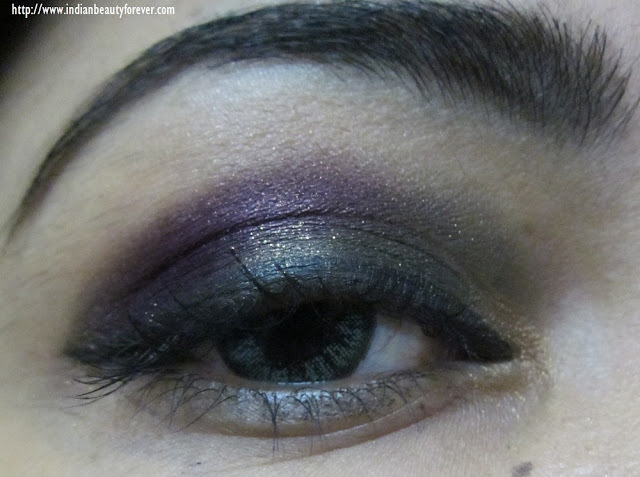 I applied golden shadow from the MUA palette in heaven and earth and gently blended all the colors on the lid. Then I applied Maybelline gel eyeliner and 2-3 coats of Faces Mascara . This is how it looks once finished. Happy Diwali dear.. I really loved the combination of shades and your eyes.... are you wearing contacts? That's a nice color combination Niesha! Thank you so much . :) Glad you like it! 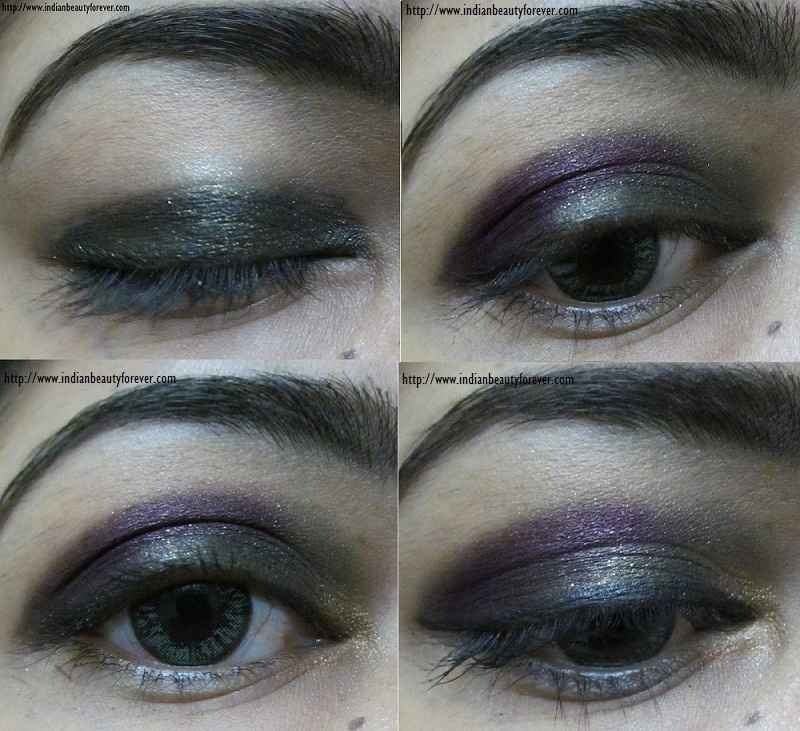 Amazing make up I really have to try it! super pretty darling..how did u celebrate diwali? I really really like it and I'm gonna try it very soon. Great tutorial! Come by and check out my blog, if you like it I would love it if you followed me. 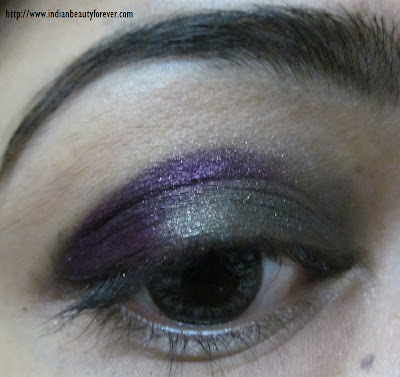 Love the green and purple combination! Happy Diwali and a prosperous new year to you and you family Niesha! d last pic is breathtaking..
Looks so intensive, I like it very much! This is very well done. I'm usually scared of 'heavy' makeup on the eyes but this looks great, especially love that you didn't go all the way up to the eyebrows. The colors go very well together. This looks gorgeous! :) Awesome! This is very nice Niesha! And you chose a very nice name!